The Congress has been on the offensive on the issue and claims that there have been almost 28 cases of people being lynched every month under the Modi government. 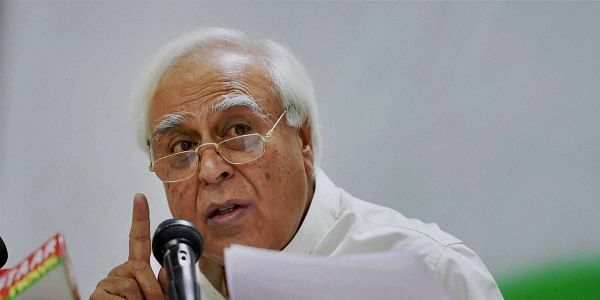 NEW DELHI: Alleging that the increasing instances of people being lynched in the country are a result of the "silence of leadership", senior Congress leader Kapil Sibal today asked Prime Minister Narendra Modi why he did not talk about hate crimes in his 'Mann ki Baat' programme. The Congress has been on the offensive on the issue and claims that there have been almost 28 cases of people being lynched every month under the Modi government, a first in the 70 years of the country's independence. "An environment of hate allows for rumour-mongers inciting mob lynching. This is the result of silence of leadership when crimes are committed with impunity by harbingers of hate. Why no Mann ki Baat on hate crimes since 2014?," he asked on Twitter. Congress spokesperson Abhishek Singhvi echoed his party colleague and accused the Modi government of "aiding and abetting" incidents of lynching across the country." absolute anarchy, mob frenzy and jungle raaj have become the new symbols of Shri Modi's 'New India' under which an unprecedented atmosphere of hate and violence writs large," he told reporters. Rumours, state-aided licences to kill and the decimation of rule of law have led to a "lynching movement" and shaken our "national conscience", the Congress leader said. "It is high time, the BJP government takes note of this widespread mob frenzy and lynching incidents. The BJP would do better to take note of the anger overtaking the citizens of India against vigilantism by their party men," Singhvi added.